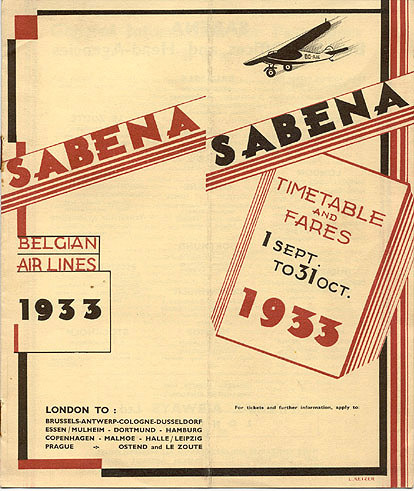 "Sabena Timetable and Fares 1 Sept. to 31 Oct. 1933"
"Sabena Timetable and Fares 1 Sept. to 31 Oct. 1933." Signed "L. Keizer," printed by Th. Dewarichet, Bruxelles.